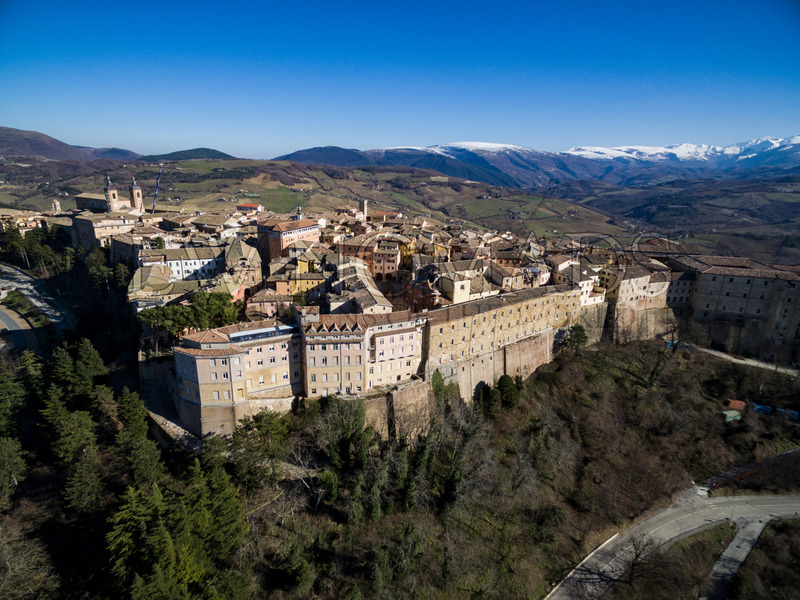 Camerino, Marche Italy – Camerino is an ancient University city devastated by the Norcia and Visso earthquakes in the Apennine mountains bordering Umbria. They have been working on rebuilding and hopefully, most of the city will be able to be preserved and restored. We offer this image as a print and on a variety of other products at FineArtAmerica. It is also available as a royalty-free stock photo for social media and print, or as a video clip on shutterstock.